Anyone trying to describe Suzanne Peterson would not have called her pretty. She stood five feet, six inches in her stockinged feet, and all of those inches were undeniably feminine. Her sculptured cheekbones and her coal black hair, which she wore in layered curls to just below her shoulders, she had inherited from her Cherokee ancestors on her father’s side. Her emerald eyes and the light dusting of freckles across her cheeks (she could cover them completely with properly applied makeup, but usually preferred to let them peak through) had been passed to her from her mother’s Irish bloodline. And the truth was that when one considered all of these parts together – from head to toe – Suzanne Peterson was simply, strikingly beautiful. Of much more importance was the fact that she was so beautiful in spirit that she had no vanity about her looks and hardly gave them a thought. So her beauty wasn’t at all sophisticated. There was an innocence about her – in her eyes – in her smile – in her manner – that made her charming, and most everyone who knew her found her a delight to be around. At the same time, she felt most things passionately, and when her sense of injustice had been aroused, her eyes would flash fire, and her lovely voice would take on a ring of authority that seemed incongruous with that innocence. So potent was this combination that when Suzanne Peterson took her stand on any issue, most people listened – whether they wanted to or not. That fact gave her an advantage as a newspaper reporter. She was an accurate and truthful reporter, but every time she had an opportunity to do an article or a story that didn’t require her to be unbiased, she invested every bit of her talent and passion into persuading people to embrace what was right and good, and to abandon what was not. But tonight, she wasn’t thinking about newspaper articles, or even about injustice of any kind. Rather, she was happily weighing the merit of packing her rose pink silk robe against that of taking the navy blue flannel as she prepared her luggage for tomorrow’s trip to Tennessee. She hummed quietly as she worked, stopping every once in a while to admire and smooth her hand over the ruby velvet bridesmaid’s dress hanging on her closet door. Pastor Cameron McDaniels had never felt his heart stop beating before. … Was that what was happening … or was he just forgetting to breathe in and out normally? … He couldn’t have answered either one of those questions, because his usually quick and concise reasoning abilities had just deserted him. Somewhere in the back of his mind was the vague thought that this must have been what Adam felt when he first saw Eve. A foolish comparison perhaps, but he was used to thinking in Biblical terms after all. He knew others were in the room, but he couldn’t seem to focus on anyone but her. All of this experience had taken only a few seconds, but he had lost track of time. 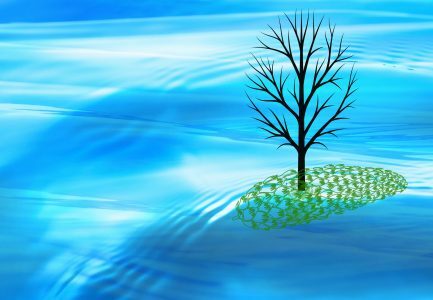 Finally, he shook his head to clear it, deliberately took a deep breath, just to prove that he still could, and reminded himself that men didn’t really fall in love at first sight – particularly men who were ministers of the Gospel. He squared his shoulders, taking another deep breath, glad that the others were still gathered around his secretary’s desk, intent on what they had been talking about that had them all laughing. They hadn’t seen him enter the office, so he had a moment to collect his thoughts. So this was the young woman who had been engaged to Maddison’s brother and was now becoming a partner with Beth. Suzanne Peterson. … The name suited her, he thought. Beth hurried toward him, her arms outstretched. “It’s about time you got here; we’re starving!” she said as they hugged each other. By that time, Maddison had crossed the room, beaming from ear to ear. “Don’t pay any attention to her, Cameron,” he said. “She’s always ready to eat. And can she put away the hotdogs!” he added, sliding his arm around Beth and squeezing her shoulder. She responded by punching him gently in the stomach. “All right, enough of that, you two.” The words came from across the room, and Cameron looked beyond Maddison to see Suzanne approaching them. “You must be Pastor McDaniels,” she said, extending her hand to him. “That’s right,” he answered as he took her hand. The luxurious sound of her laughter already had him mesmerized; now the feel of her hand in his disrupted his concentration even more. He had to get his thoughts together; he was the pastor after all; he needed to act like one! “And you’re Suzanne, of course. It’s so finally to – I mean – It’s so good to finally meet you.” He almost never stumbled over his words. Why now, of all times? Let go of her hand, Cameron, he told himself. “Good … I mean … I … uh … I feel the same way.” He shakily drew in a long overdue breath. No woman had ever made him almost speechless before! With Suzanne in Honduras to interview the pastors, Cameron felt lost and uptight. This being in love was a whole new experience, and he was only beginning to get used to its ups and downs. But by Monday, with only four more days to go before her return, he was able to focus on his regular schedule a little more earnestly. He even congratulated himself because he felt like he was finally getting back into his stride. But it all came to a crashing halt on Tuesday night with a phone call from Juan Cordoba that began the worst nightmare Cameron would ever experience in his life. When he first heard Juan’s voice speak his name, he assumed he had called to give an update on Suzanne’s visit, but when the only thing following the word “Cameron” was silence, he knew something was wrong. His heart started pounding, and he cried out silently … not Suzanne … not Suzanne! “What is it, Juan?” he asked in a strangled voice. There was silence on both ends of the line. Finally Juan Cordoba spoke again. Cameron let out a groan. He felt as if something were choking the breath out of him. Juan was again quiet on the other end of the line. He knew without words what kind of pain his friend was in, and he hurt for him, as well as for the family members of the other people on his medical team. There wasn’t much more to add for the time being. Juan told him their own people were trying to track the van, and might be able to come up with some kind of lead before the authorities. He promised to call back as soon as he knew anything. “Sure, Cameron. But I’ll be back in touch tonight yet; I promise. “I’d appreciate that, if you don’t mind … even if you don’t have any more news.” Juan could here the tears choking his friend’s voice, and his heart broke for him. Cameron’s first call was to Maddison Holt and his wife Beth, knowing they would call others on the prayer chain for him. But even more to the point, Maddison had become Cameron’s closest friend and was so much like his own brother that he knew he could count on the solid comfort and support. “That’s great. I’ll see you there pretty soon … and … Maddison …” he made a choking sound that barely held back a sob. You’re such an accomplished writer Sandra. I appreciate your encouraging words very much, Gilly. It’s those kinds of words that keep me going. Sandra, what great books. Finished the first one, Set Free To Love. Now I am up to Chapter 9 of Cameron’s Rib. Both are really great and I am thoroughly enjoying them. You have done well on both. The Lord has allowed you to be a very gifted writer. Keep up the superb writing. #3? Thank you for all those kind words. And yes, number 3 will be at the Kindle store this month and number 4 next month — maybe earlier. Also, I don’t want to put you on a spot, but if you really do like the books, if you could go onto the page of each one on the Amazon site and write a brief customer review (down toward the bottom of the page, there’s a button to click), I would very much appreciate it. The two people who wanted to write reviews earlier are people who honestly read the books and loved them, but because they had read the print versions before they went digital, they didn’t purchase the digital copies. Amazon won’t let them comment since they haven’t bought that digital version. I can understand that, because they want to guarantee future buyers that reviews were written by people who are validated purchasers. But it’s very discouraging. The reviews really do help other people get interested in buying. However, if you feel you’re not comfortable doing the reviews, please don’t feel pressured. I know some people just don’t want to be that “out there” on an Internet marketplace. But thanks very much for the encouragement here. I’ll be posting something about the next books as they get promoted to the digital world. Just finished Cameron’s Rib. You kept me reading it in bed, while Dan was driving and while I should be working on the blog instead. 🙂 Couldn’t put it down. Another superb book. Thanks for writing both of them and I’ll see what I can do about reviewing them for you. I used to say that I had read so many books way into the early morning hours that I would consider myself a successful writer only when I could keep people up reading one of my books until 2:00 or 3:00 a.m. because they couldn’t put it down. I don’t think she especially appreciated my response, but that didn’t keep her from finishing the book. 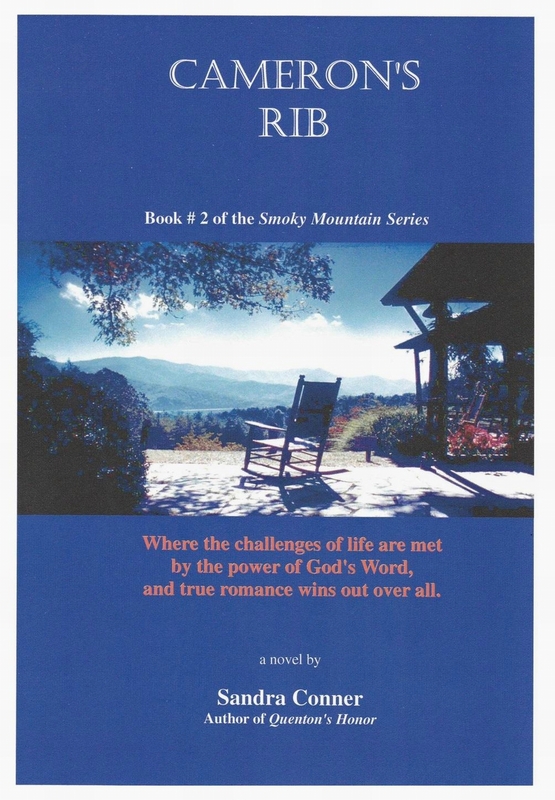 Book 3 of The Smoky Mountain Series should be on there by Friday, and I’ll post something when it’s available.